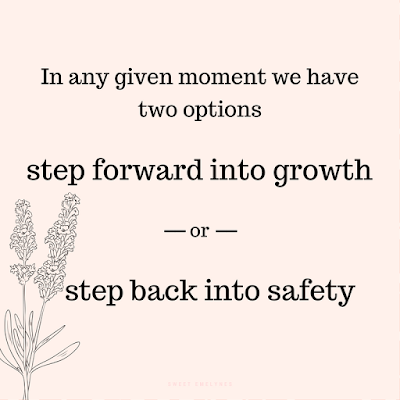 The past month I have been focusing on growth. I'll admit it, I hate leaving my comfort zone. I feel the best when I am safe and secure. I think most of us like that feeling, we don't like change because we are afraid of the unknown. Not knowing what the outcome will be can cause a lot of stress and anxiety. Being someone who suffers from anxiety I like to control and plan ahead as much as possible. This is something that I recently realized is SO unhealthy. The best things happen when you walk out of your comfort zone. If you follow me on my YouTube channel you would know I recently quit my job. I was working part-time on top of YouTube and blogging. I got this part time job because I felt like I wanted something safe, something that would always be consistent and dependable. The job was great, it taught me a lot about who I am, gave me better people skills and helped me to stand up for myself. I always told myself "well, if I fail at YouTube, I always have this job to fall back on". It was my safety net. Years ago I was a firm believer in "if you can dream it, you can achieve it" & "never have a plan B, plan A will work" somehow along the way I stopped believing in myself. About a month ago the word "grow" came to my mind and suddenly everything clicked! It was one of those ah-ha moments! (I'll explain more of this in a bit) I did a lot of praying and asked God to have my Pastor talk about growing on Sunday, if he did it then I knew I needed to quit my job and start this new chapter. Well, Sunday came and guess what the sermon was on? GROWTH! The next day I went into work and quit. I have always wanted success and happiness for myself. I think we all have a different definition of success. My definition of success is being able to support myself/future family by doing what I love. Numbers mean nothing to me, I don't care how many Instagram/YouTube followers I have nor do I care how much money I make. All I want is to be comfortable in life. I don't need fancy cars or big houses, I just want lots of love and happiness. I realized that my vision of success would come faster if I decided to step out of my comfort zone. 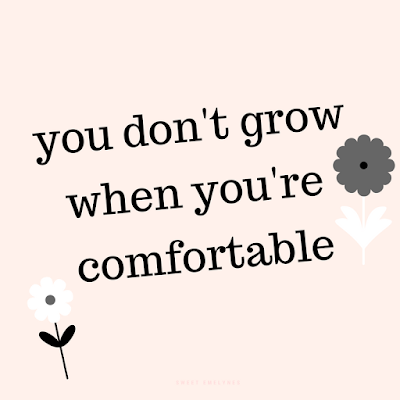 Stepping out of your comfort zone may mean you have a much larger work load but with all of that work comes more success and a better future. I have always been scared of going up in my career because I knew I was comfortable where I was and I was content with the work load. Maybe you're comfortable living home or in a relationship but you know you'd be much happier in a different state or with someone else. Here's my little blurb of inspiration for you. Whatever it is that you are scared to do, go and DO IT! Do not think about it, do not over analyze it, just go for it. Don't wait for things to be perfect to start because guess what? They will NEVER be perfect. Don't wait for tomorrow to start, get up right now and do what you are the most afraid of doing (as long as it's safe). Amazing things will happen to you. 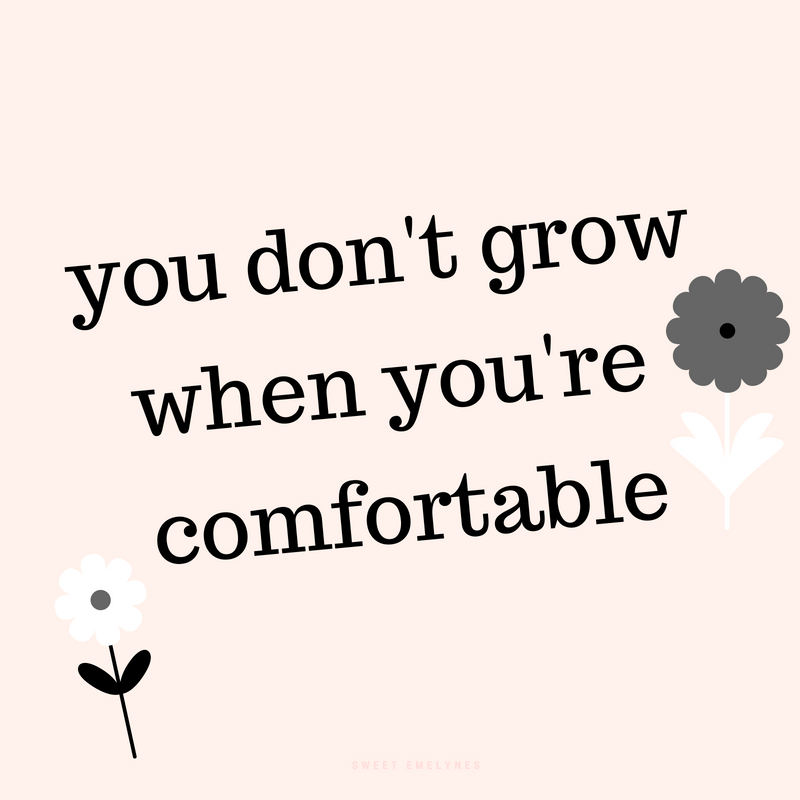 Leaving your comfort zone will be scary, it will be hard and maybe even stressful at times but the end result is SO worth it. Think of the hardest thing you've ever done or the worst situation you were ever in. At the time you thought you'd never get out and never be okay but look at you now! You are out and I bet you are much happier. Everything in life happens for a reason. You won't fail at whatever it is you want to do, failure does not exist unless you give up. Your plan may not end up how you expected it to but that's because something better will happen. Life is way to short to be anything other than happy. Today is your day to start your new life and put yourself first! 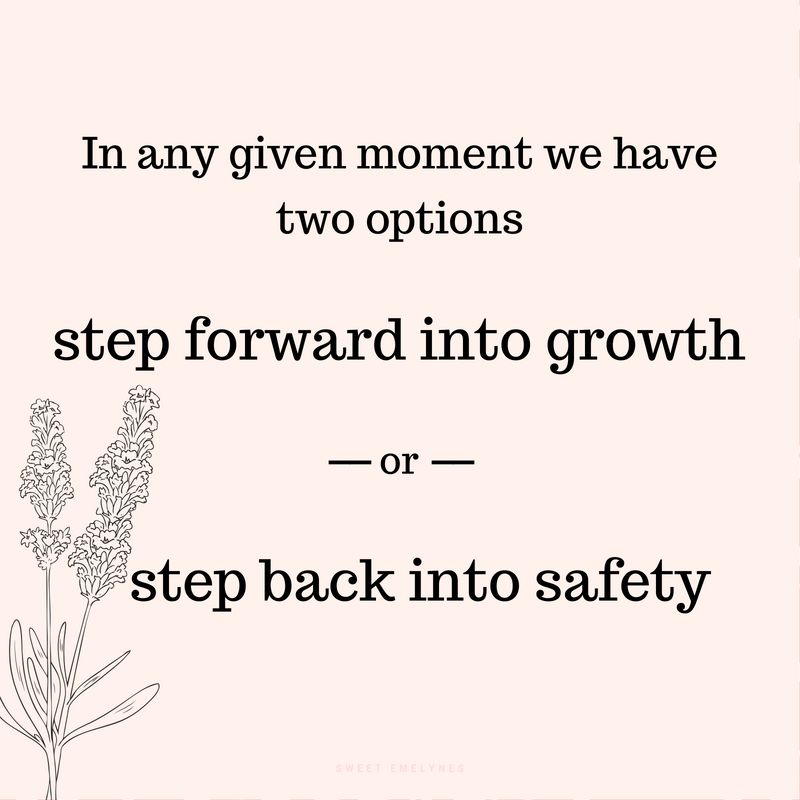 What is it that's keeping you in your comfort zone? Emotional eating has been a hot topic for at least 15 years when it comes to weight loss. It is not a new term. Advertisers for mac and cheese products have been touting them as comfort baked comfort food for years. Chocolate, ice cream, and mashed potatoes with lots of gravy are just some of the comfort foods we consume. Do you have a bakery? If yes, so, the oven is a must for you. It makes your baking easier than ever before. These may generally have the baked recipes to bake various items at a time. In simple words, it is a cornerstone of almost every bakery. If you think that your regular used oven can be perfect for your small or large hotel sector, so, you are absolutely wrong. It's because commercial needs a far different than residential ones. Along with this, it cannot withstand for a longer time and therefore, you need to buy a separate device for your commercial sector.